Data uncovered by Freedom of Information legislation found that there were 79 incidents of “full or partial degradation” of communication involving air traffic control between 2013 and October this year. The figures also revealed there had been 106 communications failures, which affected staff or passengers and involved landlines, internet or mobiles, at the 11 regional airports looked after by Highlands and Islands Airports Ltd (HIAL). Inverness and Stornoway airports reported the most communications problems between aircraft and air traffic control with 20 each in the five year period. 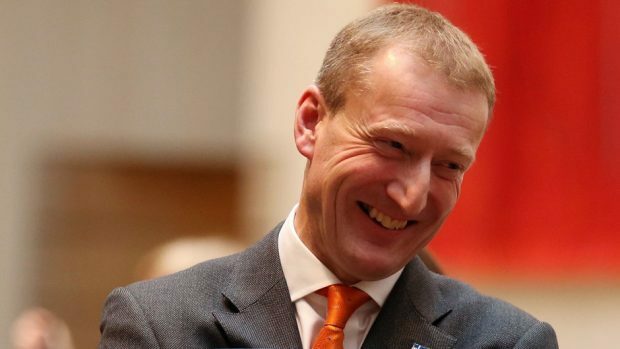 HIAL, which is facing strike action from air traffic controllers over a pay dispute, emphasised that no passengers had been put at risk, but Lib Dem Shetland MSP Tavish Scott claimed the statistics raised concerns about controversial plans to centralise air traffic control. Under the plans, seven of the Scottish Government-owned HIAL airports would have their air traffic controlled remotely from a new digital tower based in Inverness. The seven airports affected are Sumburgh, Dundee, Inverness, Wick John O’Groats, Kirkwall, Stornoway and Benbecula. Mr Scott said: “While there is no suggestion that passengers were at risk during these incidents, it serves to highlight the challenge posed by unreliable communications on Highland and Island air routes. “These figures come against the backdrop of proposals from HIAL to centralise air traffic management in Inverness. There are major concerns around the technological viability of this plan, never mind the safety implications. A HIAL spokesman said: “At no time have air passengers been at risk, however levels of communication are capable of being bettered. “That is one the reasons we are moving to introduce a more robust and sustainable solution that will also address some of the longer-term air traffic management issues that HIAL and many other air traffic service providers face in implementing systems fit for the future.